Not one more day will we tolerate the abandonment of your children to the trauma of “parental alienation.” Not one day more. The trauma and psychological child abuse of “parental alienation” stops. Today. Now. My YouTube videos on Empowerment are currently available. Watch them. It is time to stand and fight. You are no longer a victim. You are the fierce and powerful parent who is fighting to rescue and protect your children. If you have not read Foundations… shame on you. Your empowerment is through the professional words-of-power I provide you in Foundations. 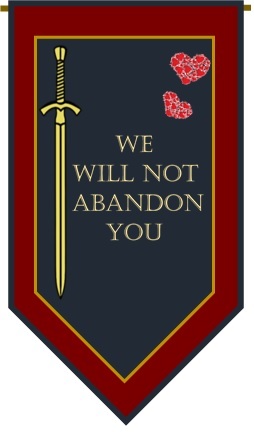 There will be no place on this battlefield for Gardnerian PAS or for ignorance. If you simply want to complain about your victimization… go away. I have no patience for you. The rest of us have work to do. Your days of victimization are done. You are a victim no more. You are a fierce and mighty warrior for your children. You are empowered. With Foundations, I have reformulated and redefined the construct of “parental alienation” from entirely within established and accepted professional constructs and principles, to which ALL mental health professionals can be held… accountable. There is NOTHING for them to accept or reject. They have already ACCEPTED all of the component principles and constructs on which this reformulation of “parental alienation” is based. Because the citadel of establishment mental health could – and did – reject Gardner’s proposal for a “new syndrome” the standards of practice defined in the Ethical Principles of Psychologists and Code of Conduct of the American Psychological Association did NOT apply to the construct of “parental alienation” – as defined by Gardnerian PAS. HOWEVER, because I have reformulated the definition of what “parental alienation” is using standard and established psychological principles and constructs, this activates for you the Ethical Principles of Psychologists and Code of Conduct of the American Psychological Association. The Ethical Principles of Psychologists and Code of Conduct of the American Psychological Association prohibit professional ignorance and incompetence. The prohibition of professional ignorance and incompetence is Standard 2.01. Mental health professionals are NOT ALLOWED to be ignorant and incompetent. Being ignorant and incompetent as a mental health professional is a VIOLATION of professional standards of practice and is subject to administrative and possibly legal sanctions. If they are ignorant and incompetent then this represents a “cause of action” against the professional license of the mental health professional under Standard 2.01 of the Ethical Principles of Psychologists and Code of Conduct of the American Psychological Association. These are not “suggested” standards of practice. These are the established standards of practice developed by the citadel of professional psychology to which all psychologists are held accountable. Gardner’s proposal for a “new syndrome” of PAS DOES NOT activate Standard 2.01 for you because his proposal for a “new syndrome” has been rejected by the citadel of establishment mental health. Foundations defines and describes the construct of “parental alienation” from entirely within standard and established psychological principles and constructs. Foundations (i.e., an attachment-based reformulation for the construct of “parental alienation”) activates Standard 2.01 for you. You are now empowered. You are now dangerous to ignorance and incompetence. You must now use your new-found dangerousness to ignorance, your weapon forged from the solid bedrock of scientifically supported Foundations, to entirely eliminate from mental health the ignorance and incompetence regarding the nature, assessment, diagnosis, and treatment of this pathogen. You CANNOT do this if you try to use a Gardnerian PAS model. If you claim that the therapist did not diagnose or appropriately treat “parental alienation,” nothing will change and you will remain entirely helpless and dis-empowered. There is NO DIAGNOSIS of “parental alienation.” The diagnosis of “parental alienation” doesn’t exist. You MUST use an attachment-based reformulation for the construct of “parental alienation.” Why do I always put the words “parental alienation” in quotes? If you don’t know, shame on you. Read Foundations, it’s in the Introduction chapter. Or go to Dorcy Pruter’s companion site for the video series on Empowerment. I’ve provided her with a pdf of the Introduction chapter of Foundations to offer to you free. “Parental alienation” as a construct doesn’t exist. It is, HOWEVER, a composite construct composed of underlying family systems, personality disorder, and attachment system processes. The correct professional term for “parental alienation” is pathogenic parenting. Start there. That the therapist did not properly assess and treat pathogenic parenting (notice I did not put this term in quotes; because pathogenic parenting is a defined professional term that exists within the citadel of establishment mental health). Then, you move on from there to question the professional competence of the binding site of ignorance in family systems theory. What training did the binding site of ignorance have in family systems therapy? Why did the binding site of ignorance NOT diagnose the child’s triangulation into the spousal conflict through the formation of a cross-generational coalition with the allied and supposedly favored parent against you? Notice how I’m using the professional words-of-power that I’ve given you in Foundations. I’ll be writing more about this as the summer progresses. Stay tuned. BUT, you cannot fight ignorance by being ignorant. The words “parental alienation” have NO power. The words I give you in Foundations, however, activate Standard 2.01 of the Ethical Principles of Psychologists and Code of Conduct of the American Psychological Association. With Standard 2.01 you become dangerous and someone to be reckoned with. You become empowered to protect your children. Essentially what this says is that psychologists are NOT ALLOWED to be ignorant or incompetent. In the first three sections of Foundations I establish the theoretical and scientific foundations to activate Standard 2.01 for you. In Section 4 of Foundations I specifically define the domains of knowledge necessary for competent professional practice with this “special population” of children and families. With regard to your children and your families, from this point forward, because of the reformulation provided by Foundations, mental health professionals are NOT ALLOWED to be ignorant and incompetent. From this point forward, mental health professionals are expected to know what they are doing and they must make the proper diagnosis. Professional competence is not a “suggested” professional practice, it is a required professional obligation. And, it is NOT up to you to educate mental health professionals. It is THEIR professional obligation to already be educated. But be aware, the proper diagnosis is NOT “parental alienation.” There is NO SUCH THING as a diagnosis of “parental alienation.” The words “parental alienation” have NO power. The professional words-of-power are in Foundations; role-reversal relationship, trauma reenactment, pathogenic parenting, decompensation of a narcissistic/(borderline) personality into delusional beliefs, cross-generational coalitions, splitting. It’s that final diagnosis, of V995.51 that we want. Attachment-based “parental alienation” is not a child custody issue, it is a child protection issue. Why do you think I drive that point home in the first video segment of Empowerment? That is our framing of the reformulation. There is NO diagnosis of “parental alienation.” You cannot be ignorant and expect anything to change. You must read Foundations and become knowledgeable about the professional words-of-power. There is nothing new about personality disorders. These are standard and established professional constructs. There is nothing new about the attachment system, this is an established psychological construct. There is nothing new about delusions, they are an established psychological construct. There is nothing new about a cross-generational parent-child coalition, this is an established psychological construct. If mental health professionals are working with a “special population” of children and families evidencing these forms of pathology, it is the OBLIGATION of the mental health professional to be knowledgeable about these domains of professional knowledge. If not, then that professional is practicing outside the boundaries of his or her competence in likely violation of Standard 2.01 of the APA Ethics Code. It doesn’t matter if they’ve read Foundations or not. All I’ve done in Foundations is made it easy for them – and empowered you. But the component principles I discuss in Foundations are ALL standard and established psychological constructs and principles. I didn’t have a book Foundations to read when I first encountered “parental alienation,” yet I was able to immediately recognize the pathology. Because I know what I’m doing. If they don’t know what they’re doing, that’s their problem, NOT yours. You do NOT need to educate them. They should already BE educated. You have a right to expect professional competence based on Standard 2.01 of the Ethical Principles of Psychologists and Code of Conduct of the American Psychological Association. From this point forward, all mental health professionals MUST make the correct diagnosis of the pathology (V995.51 Child Psychological Abuse, Confirmed) when the three diagnostic indicators of attachment-based “parental alienation” are present in the child’s symptom display. We will no longer tolerate professional ignorance and professional incompetence. Plant your feet on the solid professional bedrock of Foundations and fight. That is your right. In fact, that is your obligation as your child’s true and authentic parent. The first obligation of an authentic parent is to protect your children. Foundations empowers you to do just that. If any mental health professional wants to argue about it, let them discuss it with their licensing board. Or, if you want, just have them take it up with me. My email address is drcraigchildress@gmail.com. Think of me (and Foundations) as your psychological consultant to these binding sites of ignorance. You do not need to argue with them, you do not need to educate them. You just need to cauterize these binding sites of ignorance with the white hot iron of Standard 2.01… and Standard 3.04. Mental health professionals are NOT ALLOWED to harm their clients, especially if the harm is the result of practice beyond the boundaries of professional competence in violation of Standard 2.01. Avoiding harm to clients is NOT a “suggested” professional practice, it is a required professional obligation. From this point on, mental health professionals are NOT ALLOWED to collude with pathology because of their ignorance and incompetence to the destruction of your life and your children’s lives. Has any mental health professional involved with your family failed to recognize the pathology of attachment-based “parental alienation” as described in Foundations (remember, the simple words “parental alienation” have NO power), and as a result harm was done to you and your child because of their failure to appropriately diagnose the pathology as V995.51 Child Psychological Abuse, Confirmed when the three diagnostic indicators of attachment-based “parental alienation” as described in Foundations were present? … as a result of their practice beyond the boundaries of their professional competence, in violation of Standard 2.01 of the Ethical Principles of Psychologists and Code of Conduct of the American Psychological Association. From this point forward, mental health professionals are NOT ALLOWED to be ignorant and incompetent. And, they are NOT ALLOWED to destroy the lives of children and families because of their professional ignorance and incompetence..
Go away and don’t treat this “special population” of children and families. What they are NOT ALLOWED to do is to remain ignorant and incompetent and destroy the lives of children and families as a result. That stops. Today. Now. Up on my website in the “Parental Alienation” section, right at the very top posting, is a handout regarding Possible Causes of Action against the license of a mental health professional who fails to identify the pathology and who fails to make the correct diagnosis (i.e., a DSM-5 diagnosis of V995.51 Child Psychological Abuse, Confirmed as set out in Foundations). I will be providing more supporting material across the summer. 1.) Identifying particularly egregious cases of professional incompetence that could serve as “test cases” for professional malpractice. 2.) Collaborate on writing handouts for targeted parents on how to file their licensing board complaints. 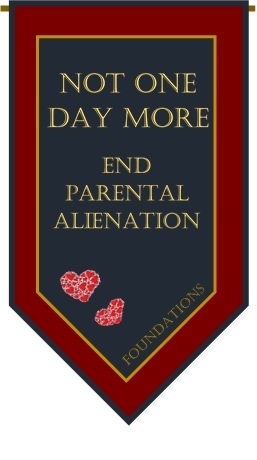 Not one more day will we tolerate the abandonment of your children to the trauma pathogen of “parental alienation.” Not one day more. The battle for our children begins in earnest today!!!! This is VERY useful. I didn’t know that I could request review of my alienated child’s records by another psychologist. I will say that no other incompetence requires its victims to react with kindness. Good to know that anger, justified by the evident abuse of one’s child, is seen as narcissistic by psychologists. I know exactly how frustrating it is. I have no tolerance for arrogant ignorance. But my life of hard-won experience has taught me that kind is better than angry. That doesn’t mean doing what the other person wants, it just means being pleasantly kind while annoying them. Relentlessly kind and relentlessly annoying. Being kind isn’t about who the other person is, it’s about who we are. It’s just a better way to live.